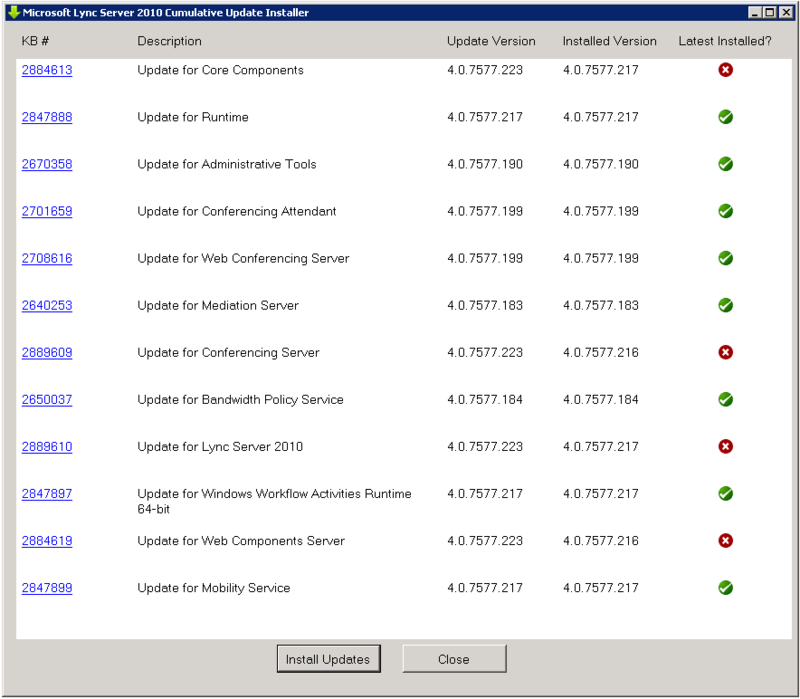 To round out the big week of updates, here’s the latest server update for Lync 2010 . The server release takes us to 4.07577.223. Sadly, there are NO specific fixes called out in this update. 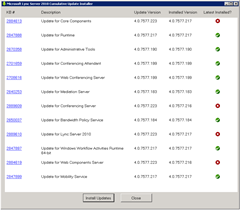 This update has a mandatory reboot at the end of it, and the now ubiquitous database update requirement too.